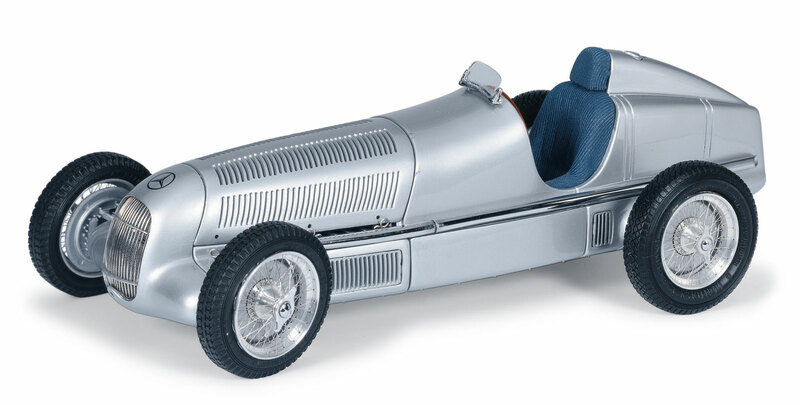 Equipped with the W25, Mercedes-Benz returned to Grand Prix racing in 1934 and achieved immediate successes. Completely designed anew, this racing car incorporated the most advanced precision technology of its day and was built of quality materials to comply with the newly-enacted 750 kg racing formula. 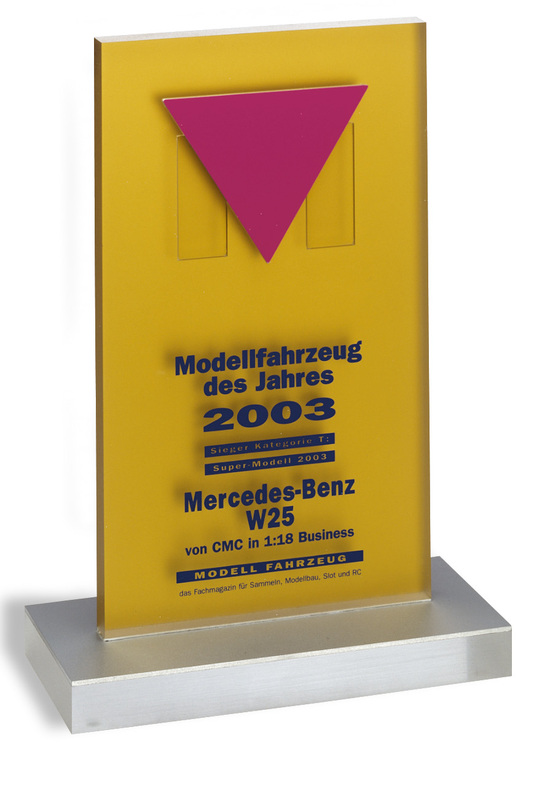 The W25 went down in history as the first Silver Arrow, and it initiated the famous Mercedes-Benz Silver Arrow era. Daimler-Benz decided to return to Grand Prix racing in March 1933. This entailed the development of a completely new car model that complied with the new racing formula, which limited the weight of each participant vehicle to 750 kg. 1934 witnessed Mercedes-Benz introduce the W25A, a monoposto that was cut out for racing. It would mark the beginning of the famous “Silver Arrow” era. The new vehicle featured a sleek and aerodynamically-formed body with humpback head support and an exhaust manifold mounted sidewise. With an initial output of 354 hp, the supercharged 8-cylinder in-line-engine gave the car a capacity of brawn and acceleration good enough to keep the other contenders in check, including Auto Union, Alfa Romeo, Bugatti and Maserati. Downright intimidating was the roar generated by the deafening blare of its exhaust system and roots compressor, which became some kind of a trademark. The W25A made its first Nürburgring appearance in June 1934, which resulted in its pilot Manfred von Brauchitsch becoming winner of the Eifel race. More victories followed and added to the glory of the W25A, with Luigi Fagioli winning the Acerbo Cup in Pescara and the Grand Prix of Spain, and with Rudolf Caracciola dominating the Grand Prix at Monza in Italy. Of the eight Grand Prix races that constituted the first season, four championships and three runners-up went to drivers of the W25A. With the development of a more advanced Silver Arrow in 1935 — the W25B (430 hp), the victorious record continued, registering 9 first-place and 5 second-place finishes from a total of 11 competitions that had involved the W25B. Parallel to all this was the crowning of Rudolf Caracciola with the European Masters title for his winning successes in the W25B. 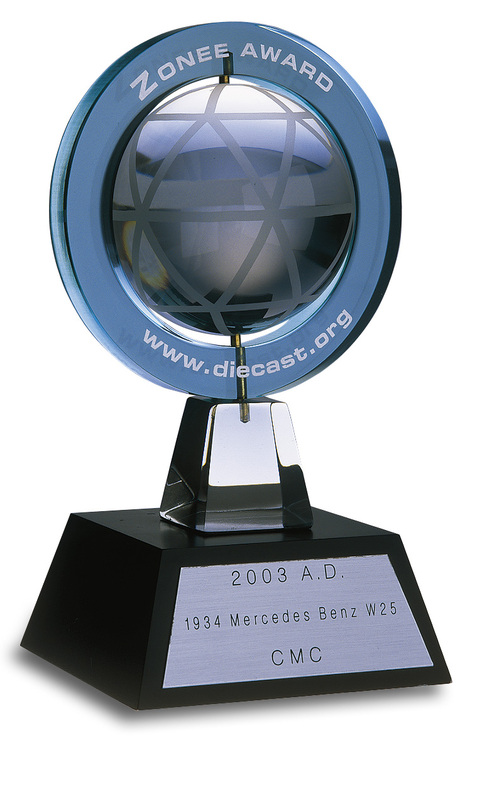 At the end of 1936, the W25C — the newest version of the original Silver Arrow — was replaced by the W125.